The time of year that we have all been waiting for is finally here, it’s officially Spring. The season we all can’t get enough due to its warm sun, beautiful people and unforgettable adventures. When looking for a shirt to take you to the next level this season, wear something fun, light and fashion forward. When it comes to reaching for the right shirt, ensure to pick something that meets your needs and embodies your lifestyle. The Pina Royal shirt, from Kennington Ltd, was the perfect fit for me. According to their website, Kennington Ltd, which was founded in 1957, is known as an iconic Men's apparel brand with deep roots in authentic California counterculture. 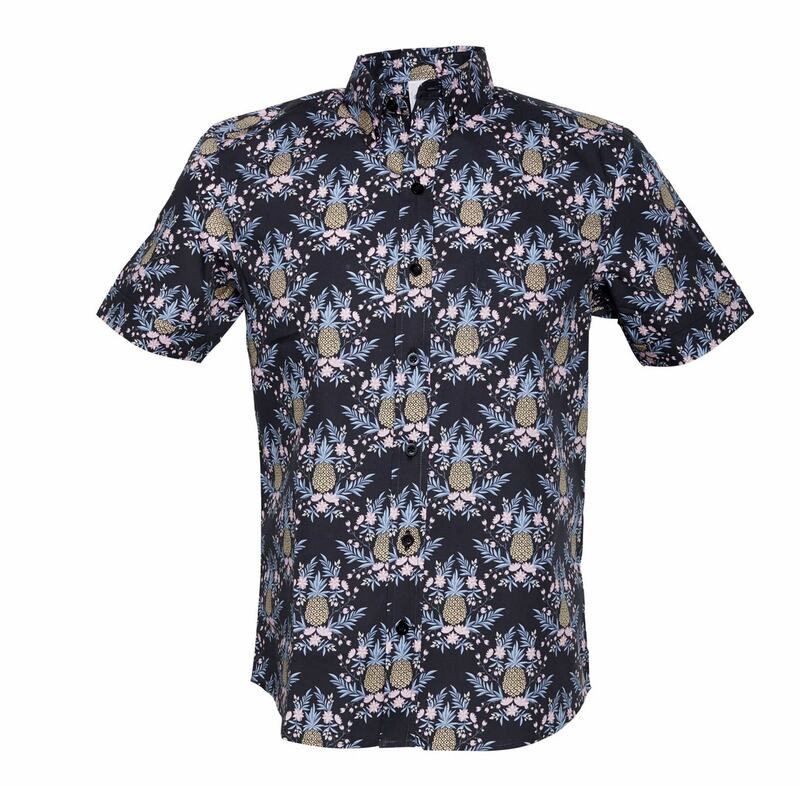 After being sent The Pina Royal shirt, I saw that its bold design is a fresh take that vintage pineapple print fans will enjoy. 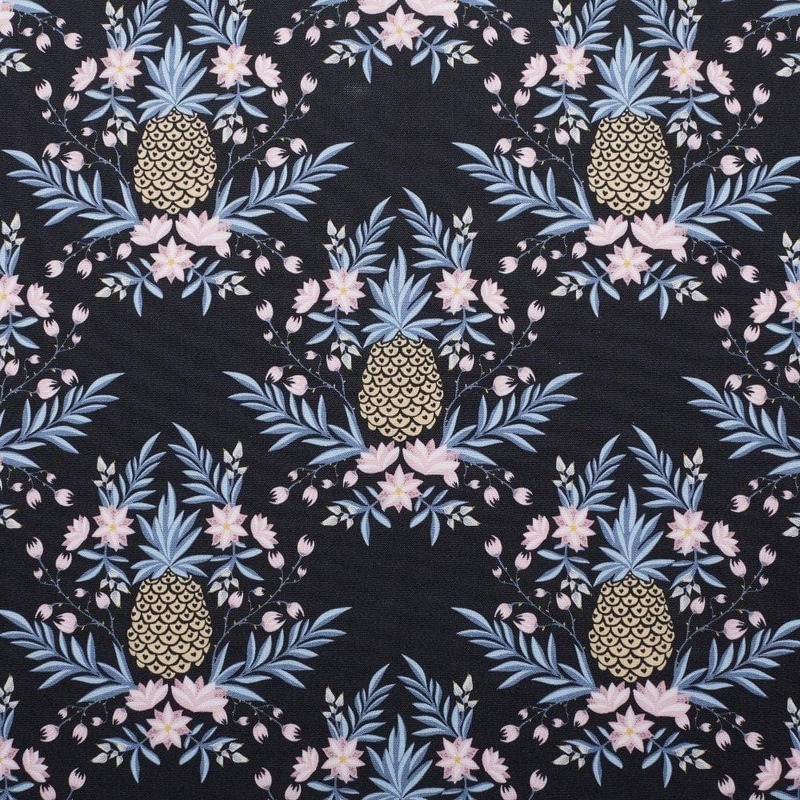 The shirt is a deep navy blue color with a rad pineapple floral design pattern that stretches from one end of the cloth to the other. The shirt’s slim fit accentuates your body’s natural build, which is great for those who are looking to show off your shape. Upon wearing the shirt I noticed that although it was sturdy, it was not stiff. If I had to be nit-picky, I would appreciate if the shirt was a bit more ventilated, as a guy who sweats a lot this was a tad bit warm for me, however, a simple solution I found was unbuttoning the top button to allow more air to flow. The shirt’s versatility is great. It is classy enough to wear to business casual events (I would recommend tucking the shirt and wearing slacks if you do. ), or casual enough to wear out to bottomless mimosas. So if you’re looking for a collared shirt for work, you’ll be delighted that this can be one of your go-to options. Designed in the beautiful city of Los Angeles, the brand really captures the trendy and Hollywoodesque lifestyle that the city is so well known for. The brand’s modern twists on designs and it’s overall comfort allows it to thrive from one fashion season to the next. The shirts full details can be found on their website. Asa Vaquera is a digital content creator and micro-influencer based in the San Diego and Los Angeles areas, with a love for all things skincare and lifestyle. His passion and work in social media can be found on his website, his YouTube channel, and his Instagram.